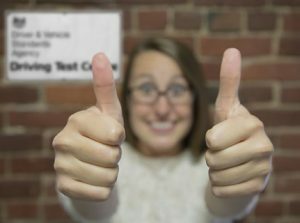 Nerves are a factor that we all deal with at certain times, so it’s important to understand that you’re not alone and almost every test candidate suffers from driving test nerves. The driving test is a little daunting, perhaps a little intimidating as you’re out there on your own being judged by an examiner sitting right next to you. Understandably, nerves can influence the outcome of a test, particularly if they get the better of the test candidate. Excessive nerves can often affect the way in which a test candidate drives. A little nerves is good, they help us focus, but it’s important that we keep them controlled and manageable. Driving instructors deal with nervous learners all the time and detailed on this page is advice for overcoming driving test nerves from instructors given to learner drivers who are about to take the test. Preparation is an important process for increasing confidence and the more confident you are, the less nerves you’ll have. We’ll start with preparation and finish with tips to reduce nerves on test day. Preparation is the key to any test and it requires that you know exactly what’s going to happen so that there are no unexpected surprises. Ensuring you know what to expect on the driving test will instil confidence and help to alleviate nerves. The how to pass the driving test guide offers various tips and ensure you have covered the show me tell me questions and answers. But remember, you won’t fail if you get the show me tell me questions wrong. It’s a good idea to read up on what happens during a driving test, but putting this knowledge into action helps considerably. Once you gain a good level of confidence with your driving, ask your instructor for a mock driving test. A mock test will not only help to expose areas in need of improvement, but will replicate the real driving test. To further this, contact an alternative driving school to the one you’re using and ask for a mock test with an instructor who you’re unfamiliar with. A stranger sitting next to you examining your driving ability in test conditions is the closest you will get to the real thing. Familiarisation in both knowledge and in physical form is an excellent confidence boost. Don’t let driving test nerves get the better of you. Stay confident and never give up. Driving test nerves are at their peak right at the start of the test and you will of course start off at the test centre. Many tests are failed right at the start, so take plenty of driving practice on the roads directly around the test centre. We all know that being familiar with something keeps us calm, so knowing the roads you’re on as you leave the test centre will help to keep nerves at bay. Literally take a look around the test centre. You may not be able to practice in there but you can always park up and take a walk around the building and parking area. Familiarise yourself with where you need to park and how easy it is to enter and leave the test centre in your car. Good preparation keeps nerves at bay. Driving test manoeuvres is one area of the test where you have complete control. Practice them in your lessons until you know them fluently. When it comes to the day of the test, take them slow and steady and avoid panic rushing. After all, the slower you are, the more time it take away from the rest of the test. The independent section of the driving test involves you reading a basic map displayed by the examiner before setting off, following road signs whilst on the move, or following sat nav directions (or varied combinations). Remember though, this is a test of your ability to remain calm under pressure and not a test of your ability to follow directions. If you get confused and are not sure where to go, don’t panic! Ask the examiner for help and if need-be, park up and stop in a safe and legal place and explain to the examiner that you’ve lost your bearings and need to reassess. A good driving instructor will know many of the driving test routes that the examiners use. You certainly don’t need to know each and every road possible on the test route, but practicing the difficult areas will most certainly go in your favour. When examiners make the test routes, they always like to include some of the most challenging roads in the area; gaining confidence on these will help to calm nerves. The day and time in which you take your test based on your location can help you feel more confident. Some learners prefer to drive when the roads are busy, whilst others when they are at their quietest. If driving in less traffic makes you more relaxed, book your test outside of rush hour times. Certain test centres also offer Saturday bookings and weekday evening tests during the summer months. Booking a test during these times often incurs a higher fee, but may also benefit from much less traffic. When you have booked your test, consider telling as fewer people as possible. The more people who know about it, the more pressure you have to pass. Much of the above involves preparation and good preparation increases confidence that will ultimately help to reduce driving test nerves. Now let’s look at some tips for beating driving test nerves on the day of your test. Unless you happen to be particularly drowsy, avoid drinking caffeinated tea, coffee or energy drinks that contain caffeine. Whilst caffeine is a stimulant, other side effects can include making you jittery, anxious and an increase in nervousness. Exercise is highly effective at reducing tension, stress and anxiety. Depending on your energy levels, take a walk, a run or anything else that gets you a little out-of-breath before your test. Follow the exercise by a drink of water to hydrate you, or milk that contains protein lactium which helps to relax you by reducing blood pressure, also contains magnesium and potassium which helps in reducing anxiety. Include a light meal of natural and healthy foods such as banana for slow release energy, blue berries for vitamin C which aids in reducing anxiety and stress. Nuts, particularly almonds are a great source of protein and vitamins. Other foods to consider are citrus fruits which contain vitamin C and oats (porridge) which is a high-fibre, slow energy release food. As they say, laughter is the best medicine, so on the way to your test chat and have a laugh with your instructor. Make light conversation and consider the test that you’re going for an ‘experience’ where most people fail first time. It’s not the end of the world if you fail and if you do, you’ll just try again next time. Remember also, your instructor has said you’re good enough to pass, so keep out the negative thoughts and remain confident. The waiting room is by far the longest part of the test. Ok, technically it’s not, but those 10 minutes or so waiting in a silent room with other nervous candidates takes an age and where stress levels hit the roof. Again, have light chat with your instructor, take a book to read or quietly listen to music with headphones. Essentially do whatever you need to do to avoid building stress levels. Deep breathing can work wonders for relieving stress and nerves. Try breathing in through your nose slowly and deeply whilst counting to five. Then slowly release your breath through your mouth whilst again counting to five and repeat. There are various herbal remedies that are perfectly legal to drive with and help to reduce stress, anxiety and nervousness. Chewing gum can for some also aid in relaxation. The examiner is just a person doing their job just like your instructor, so think of it as just another lesson. Start a little light conversation with the examiner if you wish and open your window to let a little air in. I have no idea who writes this stuff, but there is only ONE way to overcome nerves. PRACTICE!! Most instructors are very weak, or are just plain bad instructors, when it comes to advising their pupils when they are ready to take a test. Most, like the people responsible for this website, will teach only the test routes. This is a pathetic dereliction of their duty and probably one of the main reasons why new drivers have far more accidents than they really should. I could go on, but I am sure you will already appreciate that I have very little respect for most instructors (the good ones stand out a mile and not only have good pass rates, but prepare their pupils to deal for all sorts of situations, not just taking the around routes). Test routes are designed by the examiner to represent a varied driving experience that covers most road types. As that’s the case, then why wouldn’t you use them? Clearly you haven’t read the website, but it mentions numerous times to not keep rigidly to test routes, but to experience as many conditions as possible. BUT, why would you not cover the difficult areas of routes, any learner wants the best chance of passing. Further, the reason why there many accidents is due to experience (driving hours) – or lack of AND a slack attitude to driving safety once passed. There is currently no mandatory requirement by law that a learner must have a minimum amount of hours before taking a test. In theory, a person can take a driving test without ever driving a car. That’s where the problems lie, it has nothing to do with test routes.